Enric Milres doesn't make sense. This one is similar to the previous discussion of Morian Zenas, in that ESO threw a network of scholars back in time, presumably so that the game could incorporate their works. In his book Sacred Witness, Milres mentioned meeting the scholars Pelarne Assi and Ynir Gorming, authors of The Brothers of Darkness and Fire and Darkness respectively. Together, these three lore books provide all that we know about the origins of the Dark Brotherhood. It's easy to see why Zenimax felt the need to include them. When we finally see a Dark Brotherhood DLC for ESO, a lot of new fans will want to know this stuff. And they also took the opportunity to include some works in ESO by the poet Weltan, as Milres also mentioned meeting that poet in The Alik'r, also included in ESO (an excellent, mesmerizing essay, in my opinion, though it's painfully abridged). This retcon's pretty easy to swallow simply because the benefits far outweighed the cost. They were able to include the works of Assi and Gorming in ESO without any substantive changes to the texts. In fact, the only issue with taking this whole group of people out of the Third Era and putting them into the Second was one sentence in The Alik'r: "As [I] write this, I am back in Sentinel. We are at war with the kingdom of Daggerfall for the possession of a grass-covered rock that belongs to the water of the Iliac Bay." This is referring to the War of Betony. ESO had to change this to "As [I] write this, I am back in Sentinel. We are at war with the Ebonheart Pact and the Aldmeri Dominion." Worth it. Milres still doesn't make sense, but it's worth it. I was initially going to write this week about Falinesti (something else I expect to see in a future ESO content update). 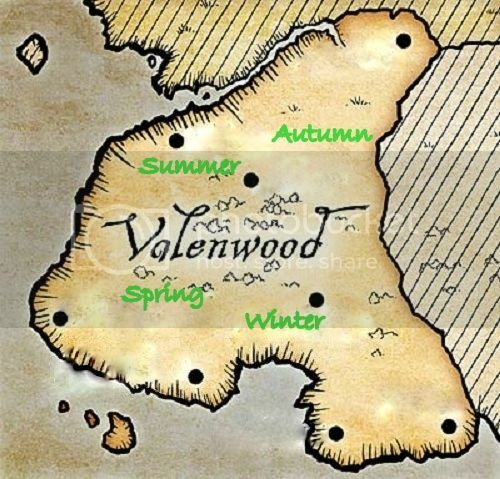 There's a misleading line in A Dance in Fire which suggests that Falinesti was in the northern part of Valenwood, near Cyrodiil, during "wintertide", which would contradict new lore in ESO. But it was actually mid-Frostfall at the time (i.e., October, mid-autumn), so it seems like Falinesti was where ESO says it should have been at that time of year. A Dance in Fire does go on to suggest, though, that Falinesti is in the south during "summertide", which doesn't really mesh well with ESO.